There has been considerable activity in the outlet market of late. An average of one new scheme per year will be developed between 2013-2020, accounting for around two million sq ft of new retail and leisure space. To put this into context, during the same period shopping centres will have added 10 million sq ft to the UK market, which given the difference in scale of each sector represents a significant growth in outlet centres compared to the much larger shopping centre market. Several of the largest schemes have recently undergone (or are undertaking) significant extensions and seven schemes will have transacted in 2016–17. Clearly, despite challenges from ecommerce and a booming Value sector, the outlet market remains a relevant and important asset class. According to Geolytix there are 48 outlet malls in the UK. 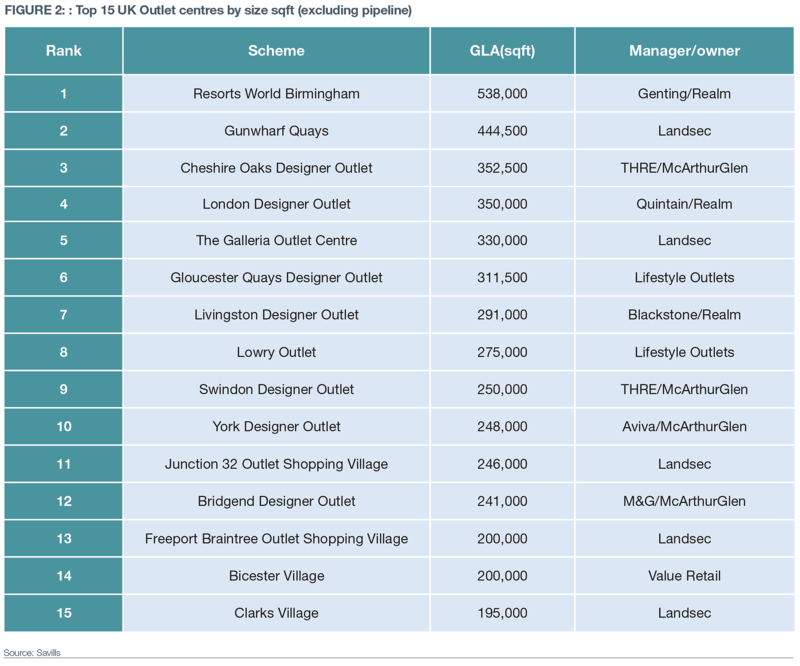 The top 15 Outlet schemes account for four million sq ft of retail and leisure space, with an average scheme size of 270,000 sq ft; the next 15 schemes have an average size of 150,000 sq ft. Annual footfall averages 4.12 million in the top 15 schemes. The majority of the larger prime centres are now owned by large institutions/Propcos (eg Land Sec, THRE, Aviva, M&G etc), who tend to use specialist asset managers such as Realm and McArthur Glen who between them operate nearly 50% of the market. In addition to being modest in scale, the outlet market is fragmented in terms of the primary concepts they offer. This ranges from small factory outlets selling seconds and last season’s stock on an affordable basis, to designer outlets like Bicester Village where the goods on offer, although discounted, remain premium in terms of both brands offered and cost of product. Most UK schemes provide a middle ground, with a mix of aspirational and affordable retailers, but with price points that suit a wide range of demographic groups and brands that may also have a strong high street presence. Traditionally, schemes were located in out-of-town locations, but increasingly developments are opening in more urban settings where they are closer to populations and can draw in new customers. 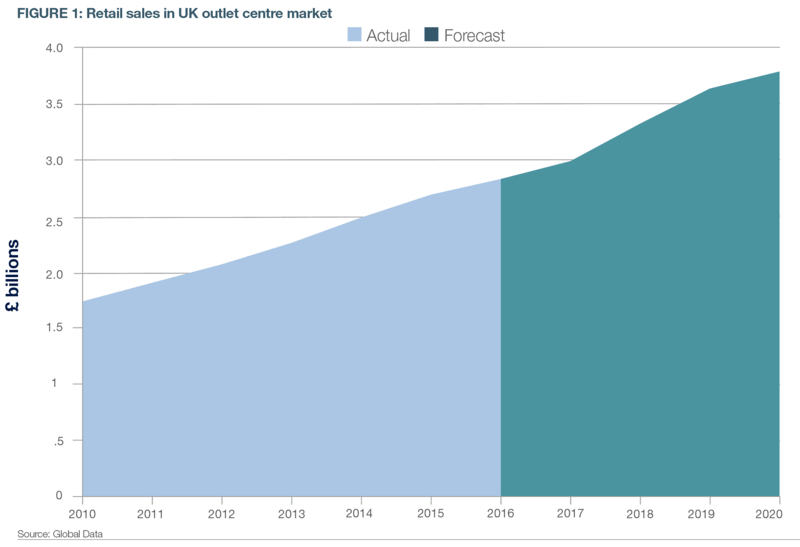 The UK Outlet Centre (OC) market has evolved considerably over the past few decades since the first factory outlet opened at Clarks Village, near Taunton, Somerset. Traditionally, manufacturers sold their surplus or seconds directly to the general public from factory shops adjoining their sites. Although there are still examples of these today, it is the concept of large out-of-town schemes selling end-of-line or last season’s products from some of the UK's biggest brands that has seen phenomenal growth. The sector has an estimated consumer value of £2.8bn in 2016, expected to grow to £3.8bn by 2020 (Global Data). A cautious spending mind-set of consumers will play to the strengths of OCs, while economic uncertainty persists. However, Discount Retail has come a long way since the Global Financial Crisis and is now pursued across the demographic spectrum. The pace of development since 2000 resulted in an increase in the size of schemes from about 80,000 sq ft prior to 1995 to around 100,000 sq ft in 1996–97, with more recent schemes accommodating 140,000–200,000 sq ft, and typically including an increasing leisure component. It is possible that outlet schemes with more open planning consents could, in the future, become mainstream shopping centres. Furthermore it is likely that outlets may increasingly take on the physical appearance of shopping centres, with roofs installed to provide an environment that complements what many already do to attract shoppers with regards to entertainment, food courts and crèches. This environment is already familiar to outlet shoppers in the US and Middle East. 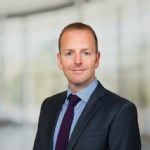 While the wider retail market has been exposed to a shift to Value and Discount goods, the visitation to OCs remains strong, which has prompted several new developments in extensions in the pipeline. In the last two years, there have been two major new outlet scheme openings in the UK. The first was Resorts World Birmingham, a traditional ‘out-of-town’ OC that opened in September 2015. The second was Hackney Walk in July 2016. Hackney Walk, an outlet 'district' in East London, is a major urban development with historical links to the fashion industry. In summer 2017, Princes Quay in Hull, became the first hybrid outlet scheme to include both full price high street retail and traditional OC offer under one roof as well as providing a city centre scheme. In 2018, Greenwich Designer Outlet Village, which will form part of the O2’s existing and extensive leisure offer will see the opening of a new 205,000 sq ft designer outlet targeting premium and high street retailers. Three schemes with planning consents include Mill Green Designer Outlet Village, Cannock (Development Securities c. 130 units – expected 2019), Scotch Corner – c.80 units, and Tewkesbury; each awaiting full development plans and confirmed delivery dates. Lifestyle Outlets Glasgow is proposed at Glasgow Harbourside, but is yet to go into planning. In addition, current or recent extensions and refurbishments are being made to Swindon, Dalton Park, Bicester Village, Ashford Designer Outlet and Lowry Outlet, Salford Quays. 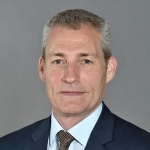 With a multitude of new developments, extensions and investment transactions, there has arguably never been so much activity across the sector, which is testament to the importance these schemes have in meeting UK shopper’s wants and needs.